Día de los Muertos, or Day of the Dead, celebrates the circle of life, with a focus on death and rebirth. Observed across Latin America, the festivities begin on November 1 and last through the night of November 2. Chicago, thanks to its large Mexican-American population, offers a number of ways to celebrates the traditions of Día de Los Muertos. We&apos;ve rounded up four ways to celebrate this memorable holiday. 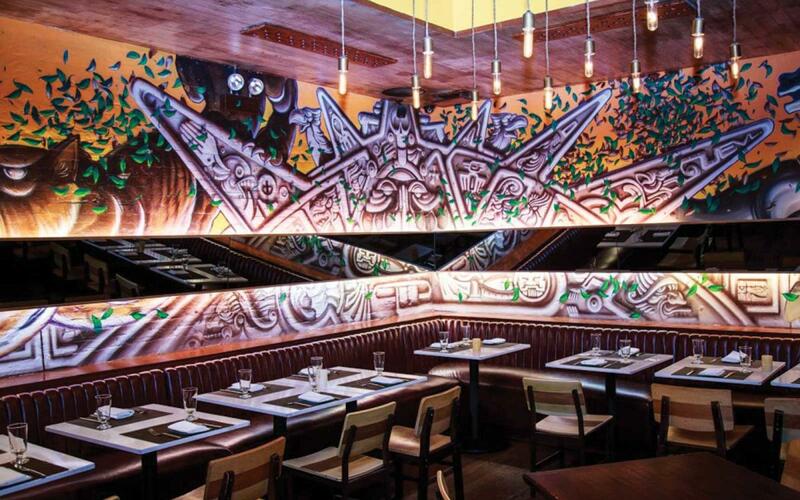 Monday, October 23, 6–9 p.m.
Mercadito, located in River North, is one of the city’s top Mexican restaurants. The hotspot&apos;s culinary team, led by world-renowned Chef Patricio Sandoval, specializes in authentic cuisine and tequila and mezcal cocktails. In honor of the Día de los Muertos, Monica Dim of Casamigos Tequila and Chef Aldo Ayala of Mercadito are inviting guests to an experiential dinner where five courses, accompanied by five Casamigos Tequila cocktails, promise to highlight the best of seasonal Mexican cuisine. The festivities begin with Sopa de Calabaza (roasted pumpkin, mole spices, pomegranate and crispy sage) followed by the Tamal de Camarón (banana leaf–wrapped corn masa, shrimp, chayote, green beans, mole Amarillo, crema fresca and crispy shallots). The Taco de Mixiote de Cordero, (guajillo-marinated braised lamb, maguey leaf, caramelized sweet potato, tomatillo salsa and crispy sweet potato) and the Callo de Hacha (pan-seared diver scallops, butternut squash hash, roasted jalapeño, pumpkin-seed vinaigrette and crispy brussels sprouts) round out the third and fourth courses. Dessert is traditional Pan de Muerto, a sweet roll, paired with Mexican chocolate, mezcal whipped cream, cinnamon, vanilla and orange zest. The Día de los Muertos Experiential Dinner is $85 per guest, plus tax and gratuity. Reservations are required. For more information or to make a reservation, call 312.329.9555 or visit mercaditorestaurants.com. "The Day of the Dead is one of the most stunning and important living traditions in Mexico, classified in 2003 by the UNESCO (United Nations Educational, Scientific and Cultural Organization) as an Intangible Cultural Heritage of Humanity. 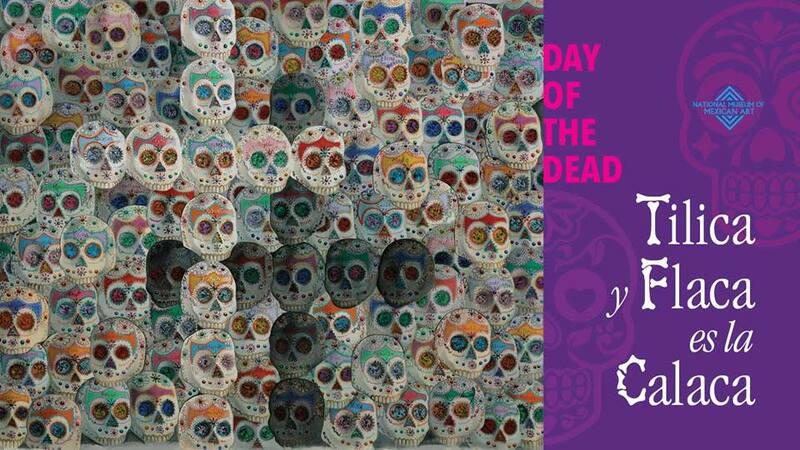 The Mexican community north of the US/Mexico border conserves and participates in the traditions of Day of the Dead by gathering in cultural spaces such as the Museum to honor and remember loved ones no longer present. Mexican artists on both sides of the border frequently express a sense of continuity and cultural identity in their works of art. Fine art and folk art are integrated into this exhibition to bring to life a Mexican celebration that bridges borders." Curated by Dolores Mercado. "El Día de muertos es una de las más bellas e importantes tradiciones vivas de México, la cual es considerada por la UNESCO (Organización de las Naciones Unidas para la Educación, la Ciencia y la Cultura), desde el año 2003, Obra maestra del patrimonio cultural de la humanidad. La comunidad mexicana del lado norte de la frontera México/EE.UU., preserva y participa de la tradición del Día de muertos reuniéndose en espacios culturales como el museo para celebrar y recordar a los seres amados que ya no están aquí. El sentido de continuidad e identidad cultural se manifiesta en obras de arte de artistas mexicanos de los dos lados de la frontera. El arte visual y el arte popular se reúnen en esta exposición para dar vida a una celebración mexicana que ha traspasado fronteras." The National Museum of Mexican Art is always free, and kids of all ages will appreciate the bright and colorful folk-art collection. The museum also offers a wide array of free family programs. One of the tastiest symbols of Día de los Muertos is sweet pan de muerto. You can find it late October through early November at one of Pilsen&apos;s many Mexican-American bakeries. Afterwards, explore the beautiful murals of Pilsen, found mainly on the streets bounded by 16th Street, the Chicago River and Western Avenue. 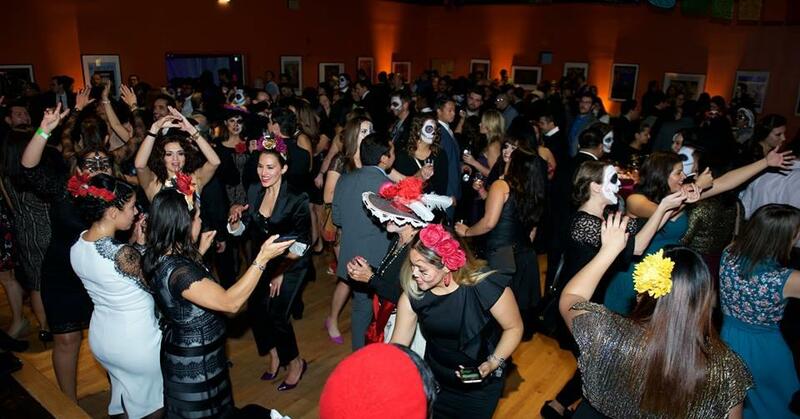 The National Museum of Mexican Art’s Auxiliary Board is hosting a special Día de los Muertos celebration that honors both the life and the spirits of los muertos: Día de los Muertos: Love Never Dies Masquerade Ball. This spectacular fall event features live musical and DJ entertainment, delicious culinary treats and cocktails, and best of all, proceeds are dedicated to the Museum’s programs. Dance the night away, in a colorful or skeleton-inspired costume, at the most popular fall ball in town. Advanced tickets are now available for purchase at a cost of $125 per person; at the door, $150.